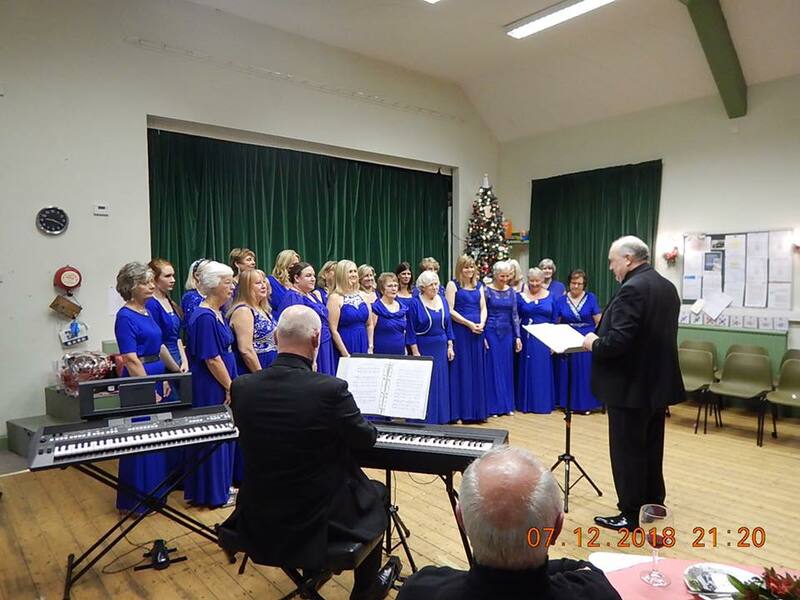 Well over 50 local residents and their friends were treated to the aureal delights of the marvellous and harmonious voices of Malpas Ladies Choir during the evening on 7 December. During the first part of the performance the ladies in their matching black gowns and dresses let out songs from popular shows as well as songs that had been in the charts. It was evident from the smiles on the ladies’ faces that they were enjoying singing as much as the audience were enthusiastically listening. The ladies were led by the choir master and conductor who took the opportunity to introduce each song. They were ably accompanied by the electronic keyboard which was magnificently played. During the interval the attendees were provided with a light supper comprising sandwiches, cheese and biscuits. A bar was well stocked by our barman, Les, who provided beers and wine which were enthusiastically imbibed by the majority of the audience in attendance. During the second performance the ladies were accompanied by a semi professional male baritone singer who pleased and delighted the audience not only with his own songs but anecdotal and humorous tales. The ladies had changed costume and by this time were resplendent in beautiful mid blue long dress gowns. They continued to enchant the audience with further songs. The choir had generously donated a beautifully presented and well packed Christmas hamper which was amongst a number of prizes raffled to raise funds for the continued improvement of the village hall building. Donations and proceeds of the evening raised a healthy £450 towards Cotebrook Village Hall refurbishment fund but was also shared by its declared charity of the year, Cancer Research.